The subject of this week’s blog, MSG, is an excellent example of this. Those three little letters sound so innocuous, but is this really the case? MSG – or mono sodium glutamate – is a form of salt added to foods during processing. Not only does it help to enhance the flavour of the food, but it also acts as a preservative, so extending its shelf life. Added to this it’s cheap to produce from fermented sugar beet. It’s easy to see why it’s so popular with processed food producers. But what about looking at it from the other side? From those who actually eat it. As a salt, MSG is the reason that so many processed foods taste salty – while non processed foods taste bland by comparison. And have such high salt content, which has featured so prominently in the press of late. 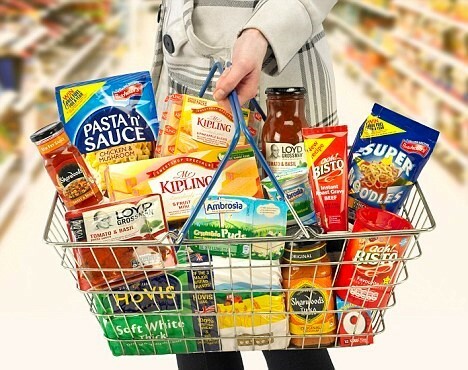 Remember your last bag of cheap crisps, processed meat or ready meal? This is why you felt so thirsty after eating them. While salt has always been used to enhance the flavour of food, MSG allows poorer quality ingredients – in other words cheaper and less nutritious ones – to be used in processed foods. Given that heating any food reduces its nutritional content, it’s easy to see why concern has been expressed over the nutrition provided by processed foods. Add in an extended shelf life – which allows food well past its natural best to be sold – and it’s easy to see how this benefits the producer, rather than the person who actually eats it. If this isn’t enough to put you off MSG laden foods, don’t forget their ability to stimulate the appetite. It’s well known that people eating processed foods quickly become hungry again, often for sugary foods. And is the reason for ever increasing portion sizes. Super. King size. Mega. Interestingly, recent research has shown a link between soaring rates of obesity and those whose diets rely heavily – no pun intended – on processed foods. And it’s not quite as simple as you may think. It’s thought that the low nutritional quality of this food, together with its effect as an appetite stimulant, work together to override the body’s natural “I’m full” response. As the food simply doesn’t providing the body with the nutrition it needs to function, more and more is craved as it tries to fill the gap. The end result is that much more food is eaten than needed in terms of calories, with predictable consequences on the waistline. Although concerns have been raised over MSG for many years, the regulatory authorities still say that MSG is “generally recognised as safe”. At the top of the list of concerns are headaches and migraines, with research showing that a single dose of MGS caused headaches in healthy volunteers. Other side effects include photophobia, skin rashes, itching, hives, asthma and heart irregularities. Since it acquired its infamous link with headaches and migraines, MSG has appeared in many new forms, so concealing its use in processed foods. These include autolyzed yeast, yeast extract, maltodextrin, hydrolyzed protein, sodium caseinate, mono-potassium glutamate, and textured protein. If you’re only looking for MSG on labels, it’s easy to be fooled. Well, as usual it’s quite simple. Prepare your own food, so you know what’s in it. Use natural flavourings to add taste. Sea Salt. Herbs. Fresh garlic. And, yes, we know what you’re going to say. That it involves more work. Buying the ingredients. Preparing the meal. Waiting for it to cook. But just think about it for a moment. You have to buy the ready meal, so why not buy the raw ingredients instead? In the time it takes a ready meal to heat up in the oven, you could have made your own meal from scratch. Doing it yourself really doesn’t have to be more work. And if you ever feel tempted by a ready meal, read the label first. If there’s a long list of ingredients, names that you don’t recognise – or can’t even pronounce – leave it on the shelf.